The billboard is a tried and true marketing tool. Archaeologists have found evidence of “ancient billboards” that date back thousands of years. They’re such a common part of life that they are easy to take for granted. But if you’re planning an advertising strategy, you can’t look past this firmly established option. Billboards aren’t still in use because of habit alone; they’re in use because they get results. The fundamental concepts behind the billboard are still sound, and innovations have opened up new ways to use billboards for advertising purposes. Let’s look at some of the unique advantages that billboards offer over other marketing tools. Billboards allow geographically targeted marketing. One of the most important things to consider when crafting a marketing strategy is your target audience. You want to make sure that you’re getting your message in front of the right people. If you have brick and mortar location or a relatively limited service area, then you don’t want to waste money on ads that target people outside your area. You also want to make sure that the people in your service area hear your message. Billboards allow you to succeed on both counts. When you put your message on a billboard, you know where people will be when they see your message. You can look at the road the billboard is on and get a good idea of where people will be coming from and going to when they see your message. Repetition drills in certain messages. Some messages are better for billboards than others. People drive by billboards regularly, but they tend to go by them quickly unless the area is known for especially heavy traffic. Messages that are easy to digest and actionable are especially effective. A study asked people to discuss their engagement with billboards. Let’s look at their answers. Notice that simple, clear, and actionable information had the biggest impact. Billboards work on an almost subconscious level, their message sinking in as people drive past them day after day. Messages that are witty, time-sensitive, or related to immediate needs all have an especially big impact on drivers. Billboards capture one of the few captive audiences left. Today people are inundated with advertising from the moment they wake up until their head hits the pillow at night. But people also have more ways to avoid engaging with ads, when ads come on TV they look at their phone, and they can use programs to block ads from their phone. In this sort of environment, how do you make sure that people actually pay attention to your ads? There is one place where people have to keep their eyes on the world around them, and that’s when they’re in their car. If you really want people to pay attention to your ad you need to catch them when they’re stuck in traffic. Strategically placed billboards with the right outdoor advertising ideas allow you to do just this. That’s 48 minutes a day where people are staring out the front window of their vehicle. Beyond that, it’s time when they might be thinking about your message. After drivers see your message, they will have the rest of their drive to process it. And this can happen every time they drive past your billboard! Digital billboards have opened new avenues. Many people underestimate the power of billboards because their perception of the medium is stuck in the past. Digital billboards have brought this advertising tool into the 21st century, allowing billboards to take full advantage of the latest technology. 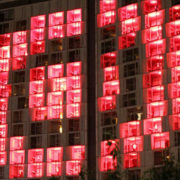 Instead of using one permanent image, digital billboards are essentially large computer screens that can be programmed to display messages in a range of innovative ways. 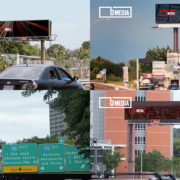 Things can be as simple as switching between images periodically so that multiple advertisers can cut costs by sharing a single billboard, or they can get more complex by utilizing animation and real-time updates. These figures were taken from a study based on self-reporting, but there is still a clear takeaway. When people see a message in person, they’re more likely to recall it then when they see it online. Billboard advertising stands above the rest. 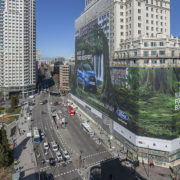 Billboards occupy a unique place in the advertising landscape because of their physical presence. They aren’t ephemeral like radio, TV, and internet advertising. They stand on the side of the road, their message emblazoned across a giant canvas. There is a power in the billboard that can’t be recreated using any other advertising tool. Billboard advertising isn’t a magic solution to every marketing need, but when used correctly it can do things that no other method can. If you have a clear and actionable message that you want to convey to a captive audience, then a billboard might be just the thing you need. Lamar Advertising, one of the largest outdoor advertising companies with just under 350,000 displays in both the USA and Canada, have sold all their Puerto Rican assets to bMedia Group as of Monday, April 16th. The local Puerto Rican owned company will now increase their number of billboards by 180 this week, while Lamar Advertising formally exits the island market. bMedia is owned by two young, local entrepreneurs, Juanchi Casillas and Héctor Horta. The company has always focused on strong visual impact locations for their billboards across Puerto Rico and this acquisition continues that mission. bMedia Group is the leading local outdoor media company on the island. “Thanks to the support of all of our clients and our excellent work team, we have evolved and kept at the forefront of market trends and needs through acquisitions like this one, which have proven to be extremely positive for the industry and the economy of our [island,]” said Héctor Horta, founding partner of bMedia. 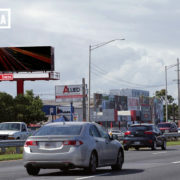 “As a young entrepreneur, I’m proud to be able to materialize this great strategic acquisition as it fulfills our objective of continuing to contribute to the economic development of the [island] and in turn, allows us to continue solidifying the outdoor advertising industry,” said Juanchi Casillas, also a founding partner of bMedia. “Lamar’s media assets further complement our bMedia offering, hence providing our clients with an outdoor media network that will allow them to communicate with their consumers more effectively,” Casillas said. Learn more about bMedia Group. A good advertisement is not just about pushing a product- it’s about solving a problem. After all, at the core of strong businesses is the desire to change the world in some fashion, not just to make money. When an advertisement comes along and is able to challenge the way its audience sees the world, it promotes the vision of its company. An example of such an ad can be found in the form of an innovative campaign run by Toyota some time back. The Climbable Billboard – What Is It? There are multiple layers to this advertisement. First, an incredibly large amount of billboard space was bought depicting the vehicle in front of a cliff face. This works on a traditional billboard level, as the car in front of the cliff is supposed to evoke a feeling of wonder and adventure- all normal stuff for a car ad. You know those artificial rock walls that can be found inside of recreational sports centers? Something similar to that was created for a billboard advertising the new Toyota RAV4 Hybrid. While parts of this advertisement indeed resemble your average billboard, don’t be so easily fooled. Unlike your usual billboard with faux 3D elements, the rocks on this billboard are designed to handle the weight of a human body and are fully climbable. The height of this artificial rock wall clocks in at a dizzying a 120ft. Three professional rock climbers and one brave amatuer climber took on the trial to scale the side of this wall, surrounded on all sides by the towering skyscrapers of New York’s Time Square. Each of the climbers demonstrated their climbing technique to amazed onlookers in real time, encouraging them to go out and seek adventures of their own. The ad agency responsible for this campaign is none other than the LA branch of the famed Saatchi & Saatchi. Despite being based out of Los Angeles, they decided the best spot for such a large and innovative campaign would be New York’s Time Square, which has been home to some of the most creative (and expensive) physical media ads over the years. 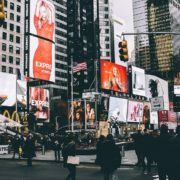 It was here in Times Square that Saatchi LA were not only able to capture the attention of the denizens of New York, but the entire world as reports of the impressive campaign spread across the internet through articles such as this one. 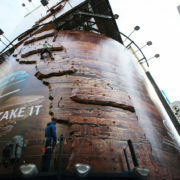 The ad itself stood as the largest outdoor climbing wall ever built in New York city, earning itself a record which will certainly give New Yorkers and record buffs a reason to remember it for quite some time. However in terms of pure fiscal results- the sales of the Toyota RAV4 hybrid in 2016 and 2017 have shot up in comparison to previous years. It’s annual sales figures for 2016, the year in which the ad aired, were the highest in the vehicle’s history. Toyota’s commitment to the message behind their lines of outdoor SUVs was conveyed through the passion that was put into this ad. Given the increased sales figures, it’s only safe to assume that this passion was properly conveyed and inspired many to go on adventures of their own. For More Outside the Box Marketing Ideas Click Here. 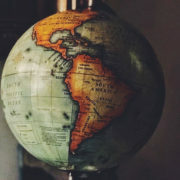 The best way to have consumers remember and form a connection with your brand is to have them interact with it directly. Some examples of this would be providing the consumer with a positive customer experience inside a retail outlet or by hosting a some sort of competition involving your brand. However, with a bit of creativity and the right marketing team, you can get consumers to interact with your brand through the medium of billboards. We’ve collected a list of some of the most inspiring ones that have caught our attention. The biggest obstacle when it comes to interactive billboard is the interactive part. What is the billboard supposed to interact with and how does it interact with that thing? The goal is often to get consumers to interact with the billboard, but in order to do so the proper motivation must be in place. There has to be some sort of reward that one can gain from taking an action. While similar in concept to the Burt’s Bees ad we’ve covered previously, New Zealand soda company L&P goes a step further by upping consumer motivation with better rewards. This L&P billboard gives everyone who interacts with it a free wearable merchandise. 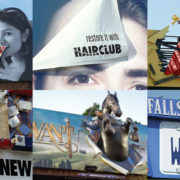 On top of being an effective ad, the merchandise provided by the billboard continues to remind the consumer of the brand. Many interactive billboards generally rely on the use of an app or website which can be accessed from a smartphone. This billboard however is powered by your feet! And legs. And rest of your body. The piece that ties everything together is the motivation given to the audience. 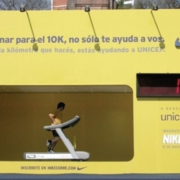 For every kilometer run, Nike promised to donate a set amount of money to UNICEF. 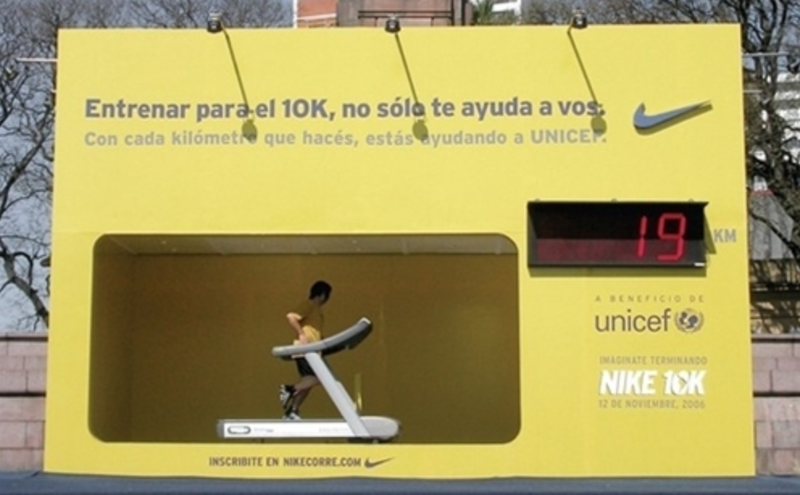 Given the billboard’s timing right before Nike’s 10k, preparing for the run using this billboard’s treadmill would directly end up helping others in need. From Marilyn Monroe’s famous sewer grate picture to countless cartoon chases, the concept of a skirt accidentally being lifted up by the wind has proven itself a truly timeless gag. Unlike Marilyn Monroe however, lingerie company Bustop actually wants you to see what’s under their skirt. This clever ad relies on the wind to blow up a physical over sized skirt placed on the billboard. While it might seem a little counter-intuitive and over reliant on weather conditions, it is actually more reliable than it looks. Districts densely packed with tall buildings will often act as wind tunnels, increasing the speed at which the wind passes. Placed in the right spot, this ad will do its job consistently and with style. When you’re having a bad day, sometimes all it takes is a kind word in order to make you feel a bit better. Whether it’s a compliment from a stranger or a joke made by a friend, a small amount of joy goes a long way. Israeli juice company Prigat teamed up with famed branding firm Publicis in order to test out this concept and spread some happiness. 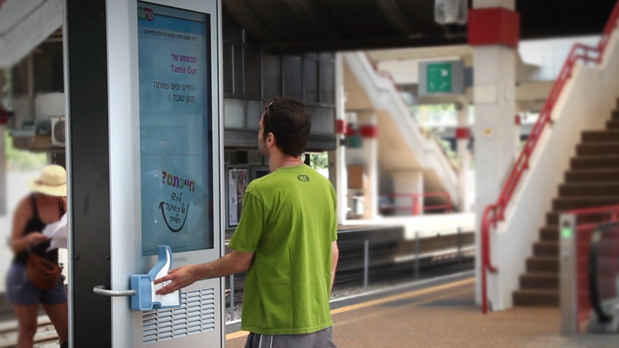 These billboards, dubbed “Smile Stations” by Prigat, were set up in train stations dotting Israel. The idea for the smile stations were to have an interactive billboard which provided amusing or uplifting content to anyone who passed by. Instead of just having the billboard spout inane, cookie cutter compliments, Publicis and Prigat instead decided to let consumers create the content themselves. People who liked Prigat’s page on Facebook were invited to post content with the intention of making the reader smile. This content was then sent to the smile stations for passerby to see and interact with. If someone looking at the billboard enjoyed the content, they would be able to hit a physical Facebook “like” button on the smile station which would then capture their expression.